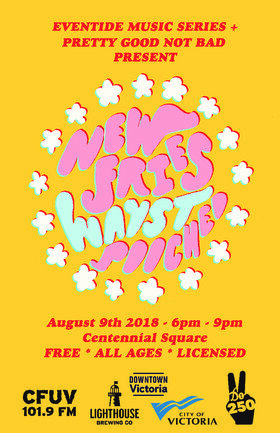 THIS SHOW WILL BE HOSTED ON THE TOP FLOOR OF THE BASTION SQUARE PARKADE! 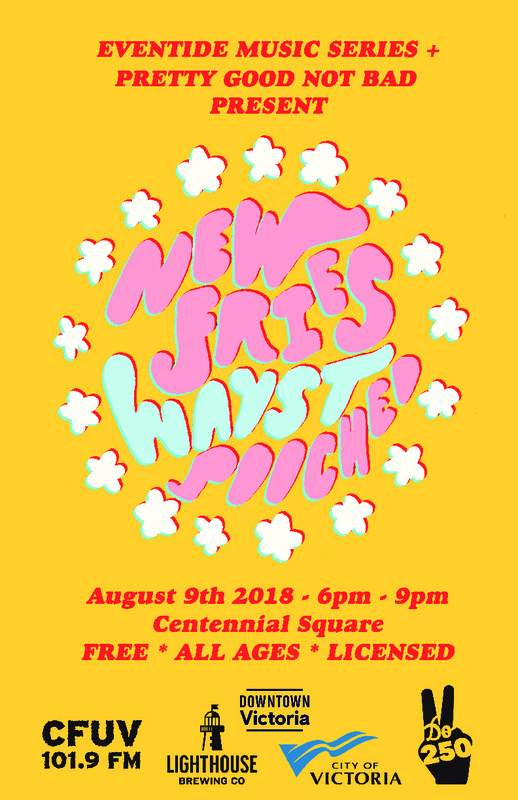 PGBN presents: New Fries is part of the 5th installment of the Eventide Music Series, a FREE, outdoor, all-ages, licensed series every Thursday evening from July 5-August 26. We will be serving Lighthouse Brewery beer and there will be a food truck on site. Sponsored by: Downtown Victoria Business Association, Lighthouse Brewery, Do250.